Decorating a Bedroom for a Boy AND a Girl with Disney Glidden Paint! This is part 1 of a 3-post series about using Disney Glidden Paint to decorate a bedroom for a boy and girl. Please read the full story by following the links to the other posts at the end of this artcle. Sometimes it surprises people when I tell them that my son and my daughter share a bedroom. 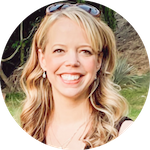 It was a decision that just made sense to my husband and I when we were adjusting to having our first baby and, at the same time, preparing for the arrival of our second. Now that Haiden and Piper are a bit older, we've talked a little bit about separating them and putting them each into their own bedroom, but we know that they would both hate the idea. The truth is, they love sharing a room, and they've formed a special bond from having bedtime and falling-asleep-time in the same room over the years. It warms my heart to hear my little ones, ages 3 and 4 years old, chattering and singing to each other after goodnight kisses from my husband and I. It's not something I want to take away from them anytime soon. The only problem with having a boy and a girl share a bedroom is that there's a whole lot of neutral going on. The walls in their room are beige. The furniture is white and brown. There's a Mickey Mouse clock on the wall and a few various family photos here and there. There's nothing about the room that says, Haiden and Piper's Bedroom, and we're about to change that! 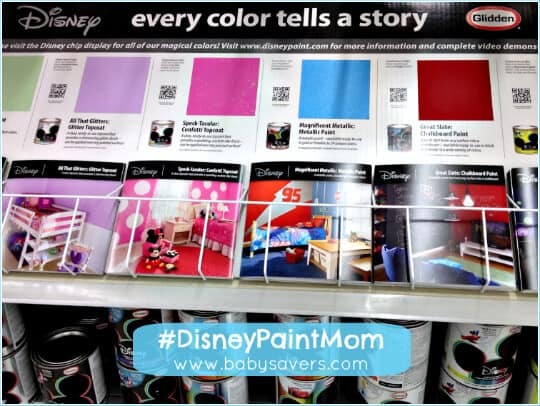 I recently started working with Glidden as a Disney Paint Mom, and I'm going to be doing a fun painting project to give Haiden and Piper's bedroom an update and some much-needed personality! 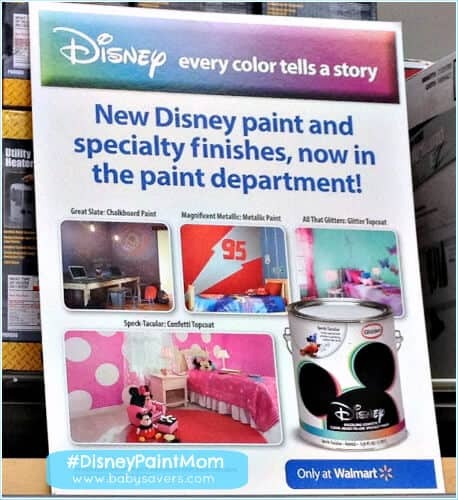 Disney Paint is a new line of paints available only at Walmart that captures the magic and inspiration of Disney with 112 exclusive colors and five innovative specialty finishes that are easy to use and apply. Disney Paint is a premium-quality, ultra-durable paint that was formulated with your child in mind to withstand wear and tear, as well as repeated scrubs and washes. Scuffs, crayon and pencil marks, little finger prints, and tough stains, such as grape juice, wash off easily without removing the magical color. Disney Paint is low odor and has no VOCs. 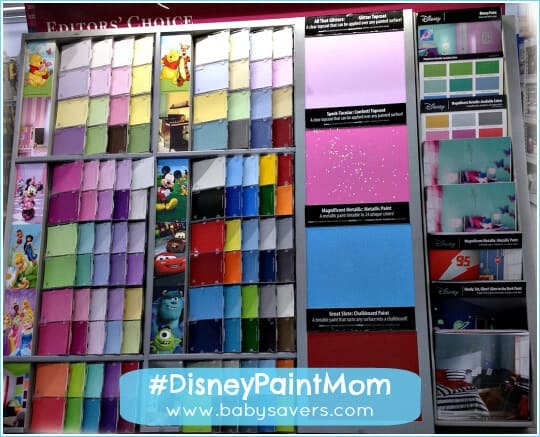 Disney Paint has a distinct collection of colors grouped into palettes designed to give your children options at every stage of style – from infant to tween. The diverse palettes make decorating with your child – no matter the age – easy and fun. Some colors are designed to complement not only each other but also Walmart’s Disney bedding and Disney room accessories, such as furniture, toys and décor options, sold in store or online. Exclusive paint colors and specialty finishes make achieving the most exciting kids' room ideas surprisingly easy and affordable. Reinvent the whole room, or add a simple accent that sparkles, gleams, glows or turns your wall into a chalkboard! You can even use Disney specialty finishes over existing paint colors. Haiden has always had a huge fixation with Disney's Cars, and we're approaching our painting project with a Magnificent Metallic Cars theme. There are some terrific ideas on the Gallery of Paint Ideas on the Disney Glidden Paint website, which helped me come up with a few different options. After reviewing the Disney Glidden Paint website I went to Walmart to see the paint in person and get a feel for the colors and textures. The displays had plenty of information including the variety of special finishes and how to use them for expert results. Even better, there were pamphlets and signs that had even more ideas! I picked up the pamphlets, some of the Magnificent Metallic paint and headed home to finalize the decorating plan. We're going to block out a big area on his wall, paint it one color, then paint silver “roads” along it. I am positive that he'll love it! Even better is how we can adapt the look and do something similar on the wall by Piper's bed. I haven't quite decided how or what we'll do, but it will also involve a block of color with silver paint over it. Once I decide and do the job, you'll definitely see pictures here! Of course, Haiden and Piper are thrilled that we're doing a fun painting project for their room, but I haven't yet revealed that it's a Disney project–I really want to surprise them! …I don't see how you couldn't find the perfect decor for anyone in your home! 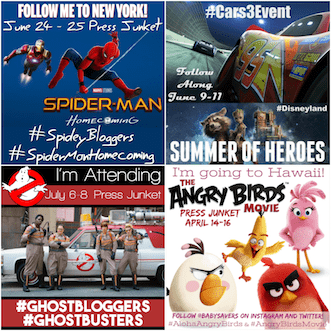 Stay tuned as you see how we execute the Disney Glidden paint project and celebrate our kids' new bedroom! Read part 2 of the story where you'll find painting tips and how Disney Glidden Paint was used to add personality to the boy's side of a bedroom for a boy and a girl. Read part 3 of the story to see the final paint project for a boy and a girl sharing a room! Can’t wait to see how the combo theme and roads turn out.